Arlie Petters, a mathematical physicist, is a professor of math, physics, and business administration at Duke University. His pioneering work in gravitational lensing, bridging mathematics and astrophysics, has opened up new exciting areas of research. Image Courtesy of Duke University. Arlie Oswald Petters is the dean of academic affairs, the Benjamin Powell Professor, and a professor of mathematics and physics at Trinity College of Duke University. He is also a professor of business administration at Duke University’s Fuqua School of Business. Dr. Petters is a multi-dimensional theoretician who was the first to develop the mathematical theory of gravitational lensing, which brought powerful methods from pure mathematics to bear on astronomy. He has pioneered new applications of gravitational lensing in physics, predicting effects that probe the nature of spacetime around black holes and developing tests of gravitational theories such as Einstein's general relativity and hyperspace gravity models. His numerous awards and honors include an Alfred P. Sloan Research Fellowship, the first Blackwell-Tapia Prize in the mathematical sciences, and an honorary D.Sc. from his alma mater, Hunter College. At Duke's Fuqua School of Business, Dr. Petters not only teaches quantitative finance, but also fosters entrepreneurship in science and technology with a vested interest in poverty alleviation, particularly in the developing world. At Duke, he is the first African American to be tenured in the Department of Mathematics, the first to hold a joint appointment with Mathematics, Physics, and the Business School, and the first to be elected to Duke's prestigious Bass Society of Fellows. 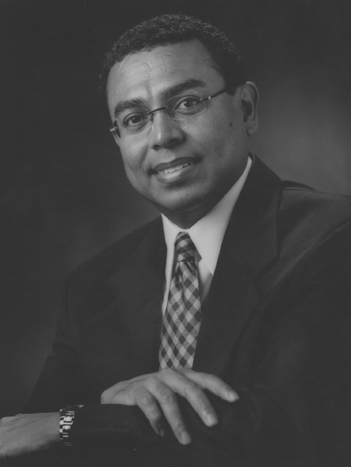 To promote excellence and entrepreneurship in mathematics, science, and technology in Belize, his country of birth, he founded the Petters Research Institute there in 2005. He chaired the Council of Science Advisors for Belize from 2010 to 2013. Dr. Petters received his Ph.D. in mathematics from MIT in 1991 and served on the faculty at MIT and Princeton University prior to Duke. In recognition of his outstanding scientific and educational work, Dr. Petters was named in 2008 by the Queen of England to membership in the Most Excellent Order of the British Empire.